Over the last few years, NPQ has given a lot of coverage to the lack of diversity in the governance and staff leadership of museums in the US. This lack of diversity extends to curatorial staff, a problem which is now on the front burner of some arts-related philanthropies. Maybe after they see this first-of-its-kind study, they will turn up the heat a bit higher. A large-scale study of the artists exhibited in major US art museums has found that 85 percent of those artists are white, and 87 percent of them male. Researchers at Williams College examined the collections of 18 major US museums, then researched the gender demographics of the artists. The institutions studied included New York’s Metropolitan Museum of Art, the Art Institute of Chicago, and the Los Angeles County Museum of Art. Chad Topaz, a professor of mathematics, spearheaded the study. Our overall pool of individual, identifiable artists across all museums consists of 12.6 percent women. With respect to ethnicity, the pool is 85.4 percent white, 9.0 percent Asian, 2.8 percent Hispanic, 1.2 percent African American, and 1.5 percent other ethnicities. 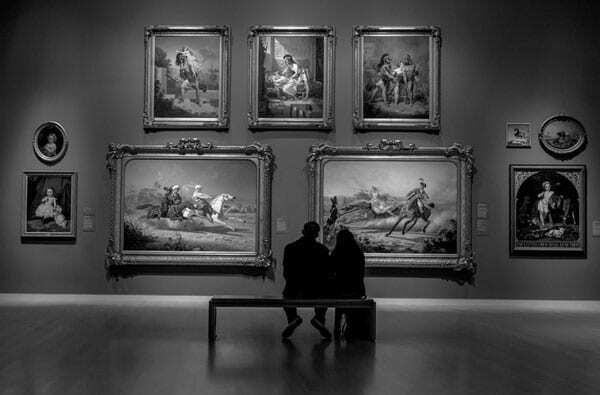 The four largest groups represented across all 18 museums in terms of gender and ethnicity are white men (75.7 percent), white women (10.8 percent), Asian men (7.5 percent), and Hispanic men (2.6 percent). All other groups are represented in proportions less than 1 percent.